Among the medieval exempla (moral anecdotes used to make a point), one tells of the encounter between two warring dukes, culminating in the triumph of the good duke due to heavenly intervention. Christopher Jones and Scott Bruce present a version of this exemplum, a twelfth-century Cluniac rhymed poem depicting two warring dukes encountering an army of souls released from purgatory. 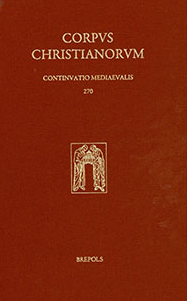 As Jones, who provides the translation and commentary, and Bruce, who provides the historical data, rightly point out, this poem proves interesting both for medieval Latinists and for those interested in "Cluniac monasticism, crusader spirituality, and the evolving theology of Purgatory in the central Middle Ages" (1). In this anonymous text, Cluniac practices regarding the prayers for the dead are juxtaposed with knightly virtues. Bruce's research indicates that all early versions of this exemplum attribute authorship to Abbot Maiolus of Cluny (954-994). 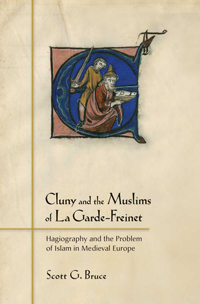 While evidence does not support this claim, Bruce argues convincingly that Maiolus' importance in championing the cult of the dead at Cluny has led to this identification. Bruce's scholarship points to the possibility of Bernardus the Scribe as the true author of these verses, leading to an engaging analysis of medieval authorship. Nevertheless, a lack of conclusive data demands that his findings remain inconclusive. Still, Bruce's extended introduction regarding authorship, the textual history of this exemplum, and the position of this Cluniac verse Relatio metrica in relation to prose Cistercian texts, not only situates this poem as an important witness to Cluniac theology but also generates fascinating material connections between the black and the white monks. As Bruce notes, the poem expands the elements of purgation and suffering in ways that reflect the developing intellectual and theological shifts towards the later concept of Purgatory. Likewise, he demonstrates how the expanded speeches of Maiolus and Eusebius (the good duke) within the Relatio metrica consider ideas of just war and Christian knighthood within an established paradigm condemning violence and luxury. Insofar as this poem may be situated as a development of a known exemplum, intellectual historians may read this text as a reflection of ideas in transition regarding the soul - its state in life and afterlife and the possibility of its salvation - in the high and later Middle Ages. Midway through their excellent introduction, Bruce and Jones shift to discussing the features of the Latin of the Relatio metrica. Whereas the first half of the introduction points towards and encourages interesting possibilities for further investigation into the history of medieval ideas, the second half provides an equally engaging presentation of medieval Latin grammar and syntax. Jones and Bruce's close reading and statistical analysis of the form of the Latin poem is masterful and welcomed. As with their description of the manuscript and the textual tradition earlier in the introduction (see, esp. 9-18), the statistical and descriptive work done on the form of text (see, esp. 41-48) provides vital data that is often overlooked. 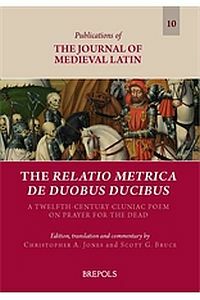 Overall, the introduction that Jones and Bruce provide to Relatio metrica de duobus ducibus is both thorough and skillful, concisely addressing both major and intriguing features of this text with expertise. Jones and Bruce present the manuscript edition and translation on opposing pages, with line numbers added to the translation for ease of reference. Additionally, while the translation of the poem is not rhymed (which would have proved an impressive feat), Jones translates closely to the structure of the text, which aids further in linking Latin to English. The lineation of the poem corresponds to the rhyme scheme of the text; however, the English translation is rendered as a block of prose. Given the clear attempt to keep Latin original and English translation together on facing pages, this seems to be a practical more than a stylistic choice. There are drawbacks to this method, however, as the English text is dry and awkward at times, and one of the key features of this particular version of the exemplum is its poetic structure. A truncated apparatus appears below the Latin text, showing where Jones has chosen to substitute one reading in the text for another. Aside from this sparse apparatus criticus, there is no further apparatus fontium, which is unfortunate, as a readily accessible account of sources and textual relationships would prove helpful. Instead, Jones has chosen to provide a rather lengthy commentary (about twice as long as the poem itself) that supplies, among useful observations on form and structure, a presentation of sources. The back matter of the book includes a prose version of the Relatio de duobus ducibus as well as a lengthy bibliography, indices of biblical sources and primary sources, and a general index. The prose text (untranslated) is a welcome addition for scholars interested in comparing the varying presentations of the exemplum. The apparatus of the appended "working edition" of the prose text differs considerably in terms of style, however, opting for footnotes rather than line numbers and a mixture of Latin and English notations rather than the English notations of the poetic text. Moreover, given the existence of the two indices, again I wish that Jones and Bruce would have included an apparatus fontium within the Latin edition rather than subordinating this information to an index. Close correspondence of text to its sources is often one of the principal reasons for utilizing editions. Jones and Bruce's edition of this poetic exemplum of the two warring dukes, their Relatio metrica de duobus ducibus, makes an interesting and important contribution to scholarship on developing medieval traditions of sin, purgation, and crusade. Bruce's historical work and Jone's textual work combine well, and they have provided both a worthwhile contextual framework and an accessible edition of an intriguing tale. It is not entirely clear to me, however, if the book is meant for specialists in the field (for which the clunky English translation and the missing apparatus would be unwelcome) or for interested students (for which the introduction and commentary seem, perhaps, too advanced). While I would have appreciated a somewhat more fluid English translation, more immediately available sourcing, and greater consistency among the Latin texts presented, I am confident that scholars of the high Middle Ages will be keen to read, and make use of, the poetic tale of the two dukes.